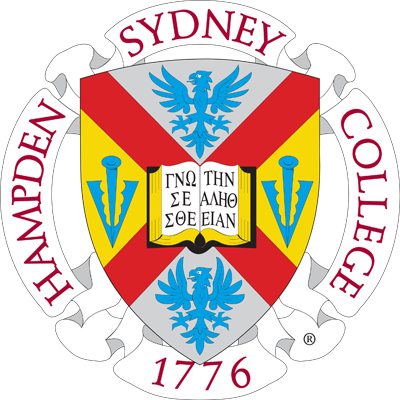 Hampden-Sydney College was awarded $4 million by the E. Rhodes and Leona B. Carpenter Foundation for the creation of a scholarship endowment. Hampden-Sydney College announced today that the E. Rhodes and Leona B. Carpenter Foundation is awarding the College $4 million for the creation of a scholarship endowment to support need-based financial aid for academically qualified students. Recipients of the scholarships made possible by this gift will be known as Carpenter Scholars. "The Latin motto on Hampden-Sydney's gates translates to, 'Enter as youths so that you may leave as men,'" said Hampden-Sydney President Larry Stimpert. "The education offered here is transformational, and ensuring access to future generations of Hampden-Sydney men is among our highest institutional priorities. The Carpenter Foundation's generosity, matched with the support of Hampden-Sydney's loyal alumni and friends, will enable many highly qualified young men to experience that transformation." The Carpenter Foundation's grant will be paid in four annual $1 million installments that are contingent on the College raising $4 million in cash for each $1 million portion of the Carpenter funds. When the matching funds are combined with the Carpenter Foundation's grant, Hampden-Sydney will have an additional $20 million in scholarship endowment by the end of March 2021. This challenge becomes the cornerstone of a highly targeted fundraising campaign to increase the College's endowment to $200 million by the 2020-21 academic and fiscal year. The Carpenter Foundation's generosity, matched with the support of Hampden-Sydney's loyal alumni and friends, will enable many highly qualified young men to experience that transformation. "The strength of the Hampden-Sydney community and the loyalty of its alumni are two of our strongest qualities, and it is fitting that the full realization of this exceptional gift will require the support of our entire network of alumni and friends," added President Stimpert. "We are grateful to the Carpenter Foundation for its incredible generosity and for its belief in the enduring mission of this institution. Hampden-Sydney College has been forming 'good men and good citizens' for more than 240 years, and we are thrilled about the mark our future Carpenter Scholars will make on the world." Hampden-Sydney has a longstanding relationship with the E. Rhodes and Leona B. Carpenter Foundation. Three residence halls at the College bear the name of E. Rhodes Carpenter, a 1929 graduate of Hampden-Sydney who founded Carpenter Co. and later established the Carpenter Foundation. The Foundation's support facilitated the construction of these residence halls, and a $1 million grant in 2012 helped create the Viar-Christ Center for the Arts in Brinkley Hall, a project that was completed this year.